This is the perennial cry of the outraged reader and the wronged article subject. The latest party to raise the fact-checking howl is the White House, which yesterday went public with its discontent over Forbes’ ludicrously poisonous new cover story. I’ll let others do the actual point-by-point refutations of the Forbes article. I want to come at this story from two other angles. First, that question about fact-checking: four times out of five, the answer to it is “no, they don’t.” Much of the public still believes that “fact-checking” is actually a routine part of news journalism, and most journalists aren’t in any rush to bust the myth, but myth it is. There are two types of “fact-checking”: One is a formal procedure of the news work-flow, where somebody with the title of “fact checker” actually attempts to verify every single fact in a piece. This is the sort of thing the New Yorker is famous for. It used to be the norm at glossy magazines, but the norm is decaying in this era of media-business meltdown. I did fact-checking work at the start of my career, as many journalists did, and it’s a good discipline, but an increasingly rare one. The fact-checking picture is further muddied by the divide between reporting and analysis or commentary, a theological line that many editors still believe it’s both possible and necessary to draw. This gives some old-school editors heart in today’s overheated partisan landscape. The news reporting is where they’ll continue to fight the battle for fact; the opinion stuff can sell the product with fact-mauling innuendo. Readers don’t care about this line. If you put the story on your cover, it’s your publication’s reputation that’s at stake. And Forbes’ has taken a serious hit. 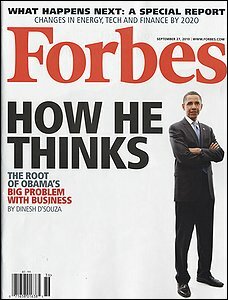 Dinesh D’Souza’s cover story was presented as an analysis of how the president thinks. No facts are in contention. Forbes stands by the story. The second point I want to make is about the changing cast of characters in this media drama. The Forbes piece is written by Dinesh D’Souza; it’s a trailer for a new book. (Books are another media type that’s far less “fact-checked” than most readers understand. That’s ironic, since magazine fact-checkers treat books as authoritative sources.) D’Souza’s career was hatched in right-wing think tanks and funded by conservative foundations. That in itself is nothing new; today, for instance, the Wall Street Journal’s op-ed pages serve as a full-employment act for Heritage Foundation and American Enterprise Institute hacks. But if you read just five paragraphs into Howard Kurtz’s piece on the Forbes flap, you notice this line: “The magazine would not make Editor in Chief Steve Forbes, who sought the Republican presidential nomination in 1996 and 2000, available for comment.” That’s right: In case you forgot, Forbes is edited by a, pardon me, politician — a conservative GOP presidential candidate. So we’ve moved beyond putting the commentariat on the partisan payroll. Now, more and more of your political commentary, particularly on cable, is being delivered by actual politicians. Not people who might someday consider a career in politics, but rather, people who — like Sarah Palin — are presumed active candidates. This phenomenon cuts across parties (now we’ve got New York’s former Democratic governor hosting on CNN), but plainly it’s the Republicans who have made the most of this new revolving door. Fox News has become their shadow-cabinet government. And the pols are laughing all the way to the bank: used to be, the broadcasters got their footage for free, but now, they’re collecting checks. 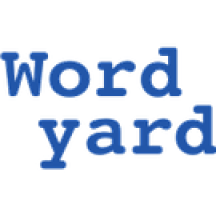 In this new world, the public is forced to look at news coverage with the same jaundiced eye it has long turned on stump speeches and candidate debates. Forbes’ cover story isn’t journalism; it’s essentially a campaign attack ad. Its technique is to introduce outrageous lies into the discourse so that public figures can parrot them and spread the misinformation before the truth squad can arrive on the scene. We shouldn’t be surprised. But neither should we expect the practitioners of this dark art to care when we wonder why they’re abandoning journalistic norms. I do feel sorry for those self-respecting journalists laboring on Forbes’ payroll who have to carry this albatross around their professional necks. Or those employees of the Web operation who landed at Forbes when it recently acquired the blogging network True/Slant. Their predicament is likely to be one that more and more journalists face over the next couple of years. UPDATE: CJR’s Ryan Chittum did a second, more detailed takedown of the errors and misrepresentations in D’Souza’s piece. News is entertainment. News is purchased to people who already see things that way and buy the medium that promotes it. If you do not like Forbes or what they say about somebody, don’t buy the magazine. Hello. People are not really all that stupid, even the democrats, or the republicans, or people who like NASCAR. Sheesh. Checking facts in a throw away magazine next to the National Enquirer in the checkout line is a bit much, isn’t it? Thanks for that blast from the past, Tim. I’m not at all clear on its relevance to this discussion, though, since the Henry Hyde story was bulletproof, there were no facts in dispute there. (Salon fact-checked it obsessively before running it, and Hyde confirmed the whole thing once it was public.) Also, Salon didn’t and I think still doesn’t hire, you know, once-and-future officeholders to write its copy. If you mean more generally that Salon’s journalism was taking sides in the politics of the day, well, yeah. I’ve never argued that journalists should, or even can, seek some state of perfect political neutrality; what they can and ought to strive for is fidelity to the verifiable factual record. You don’t have to suppress your point of view, but if the facts you find contradict it, you owe it to your readers to report them anyway. This is my complaint about Breitbart. Salon reported a true, if old, story about the sexual peccadillo of a congressman about to preside over the impeachment of a president for a sexual peccadillo. Forbes published a bizarre attempt to psychoanalyze a president that doesn’t stand up to factual or common-sense scrutiny. Big differences there, I think. I’m not defending Forbes for deciding to publish the story or stand by it. I think Forbes loses credibility doing so. I also think Salon lost credibility publishing the Hyde story and forcing out Broder. I would also point to J.H. Hatfield and Jason Leopold. There are differences, but there are also similarities.